Mac Barcode Label Maker - Corporate Edition is useful to design and print multiple barcode tags, labels, coupons and stickers on MAC OS X installed machine. To design barcode labels, software provides various drawing tools such as line, text, rectangle, ellipse, star, barcode, signature, watermark, images etc. Program creates barcode images in different shapes including rectangle and rounded rectangle. Select the Barcode Technologies, enter barcode value, header and footer. 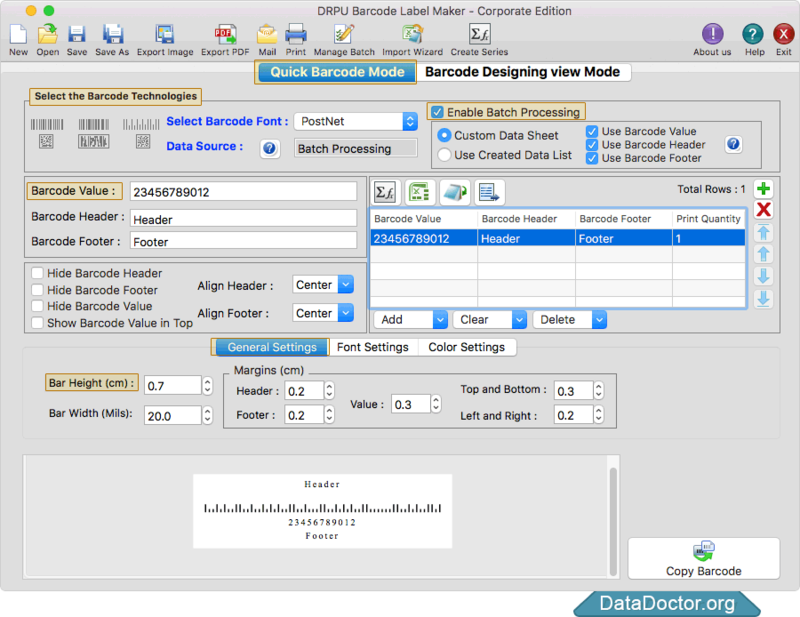 You can create batch processing series to generate and print multiple barcode labels. In Color Settings, you can change the color of barcode header, barcode footer, barcode value, barcode and barcode background. You can also set background of barcode label as transparent. 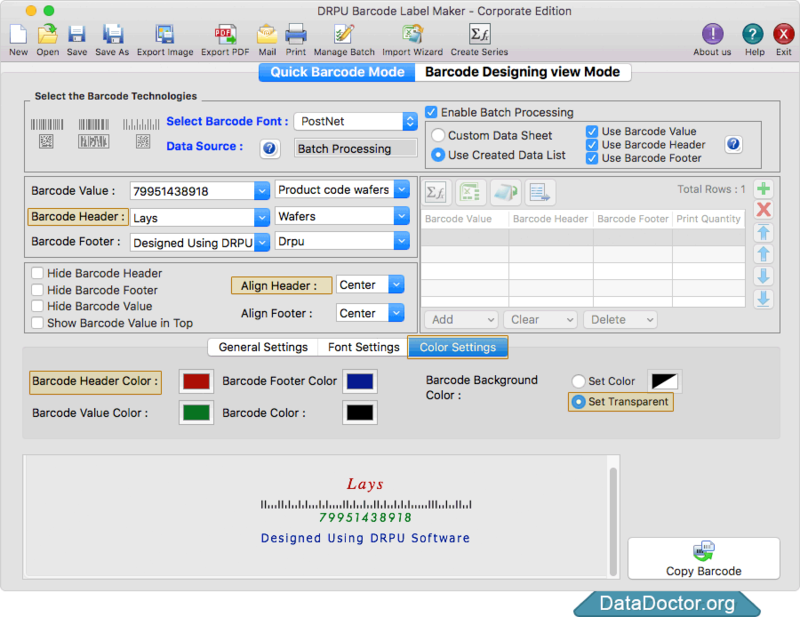 Program provides option to show barcode value in top and you can also hide barcode header, barcode footer and barcode value. 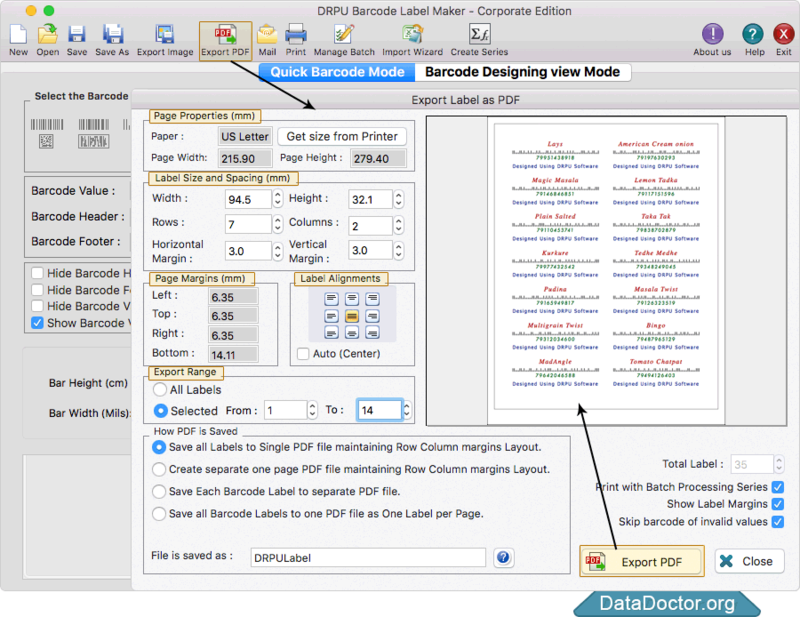 Click on 'Export PDF' option to save or export barcode labels in PDF file format. 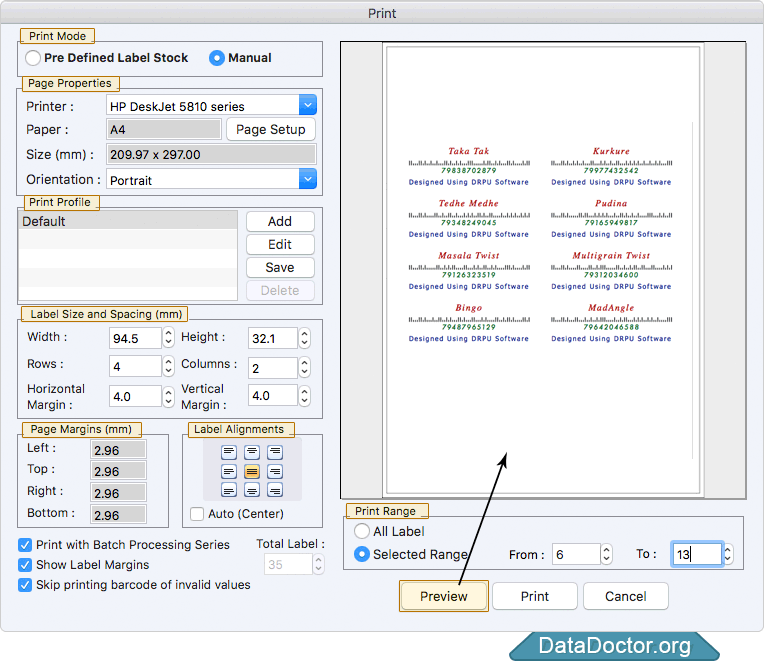 To print your designed barcode labels, adjust various print settings and click on Print button. Using Preview option you can see the print preview of designed barcode labels. Print designed barcode labels using flexible print settings. Software provides 'Copy Barcode' option to copy barcode image and paste at specified application including MSWord, TextEdit, MS-Excel etc. 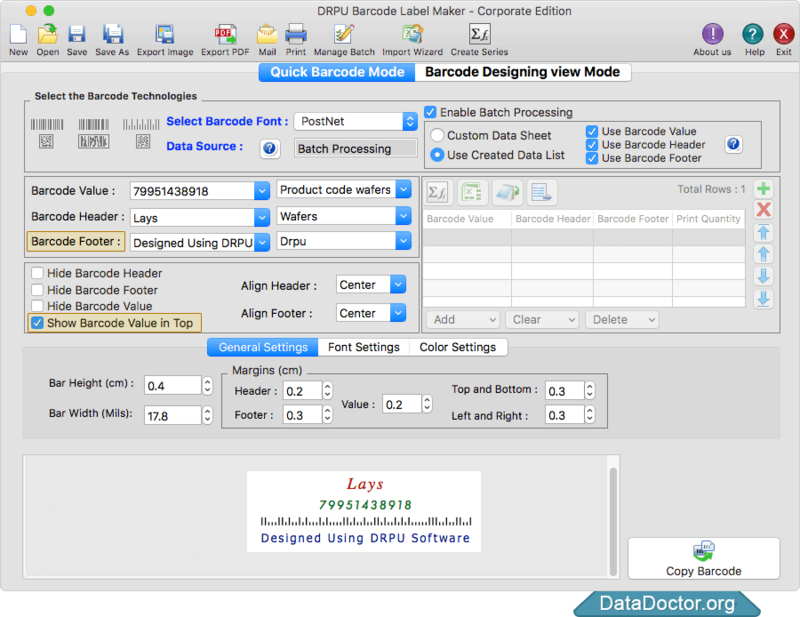 Using Batch Processing Series generating feature of software you can create list of barcode labels. MAC Barcode Software - Corporate Edition is developed with advanced Barcode Designing View Mode to design your barcode labels of your choice. Program provides inbuilt email settings to send created barcode labels at specified email IDs. Software has Color Settings facility to create colorful barcode stickers.